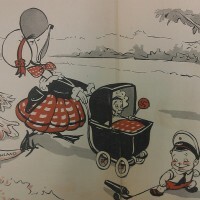 Photograph of Kyung-sook Shin’s signature from a signed first edition. Photograph of P.D. 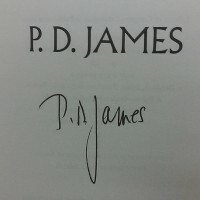 James’s signature from a signed first edition. 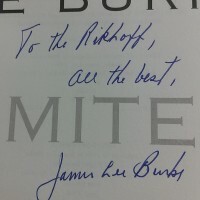 Photograph of James Lee Burke’s signature from a signed first edition.